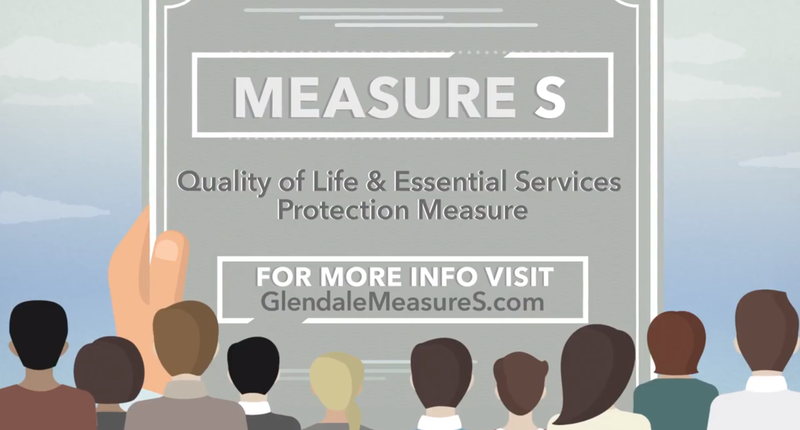 GLENDALE – With 100 percent of the precincts reporting, Measure S, also known as the Glendale Quality of Life & Essential Services Measure, passed with 54.43 percent voting yes and 45.57 percent voting no. The number of votes in favor of the measure was 27,444 while 22,978 were against. The Armenian National Committee of America – Glendale Chapter would like to thank its supporters who turned out and helped pass Measure S. Measure S proposed a ¾-percent sales tax increase and is projected to raise about $30 million annually for a wide range of city services, including street repairs, affordable housing, parks and community centers, maintenance of police and fire station staff levels. As previously mentioned, the ANCA-Glendale Chapter Board held meetings prior to the vote with numerous city council members and city staff to thoroughly discuss the measure and its impact on the city. ANCA-Glendale Chapter decided to endorse Measure S on the grounds that the Glendale City Council allocates significant portion of the funds be used towards providing affordable housing to low-income residents, maintaining local parks, buildings, and community centers, and the implementation of youth programs. The ANCA-Glendale Chapter Board thanks the Glendale City Council for promising to use Measure S funds specifically towards rental assistance and looks forward to collaborating on future initiatives.